San Francisco Circuits has announced the addition of new fine-pitch printed circuit board (PCB) assembly capabilities, specially designed for high density applications such as space- and -weight-constrained unmanned systems. Fine-pitch printed circuits can be defined as circuit boards with a significantly high number of components per square inch. 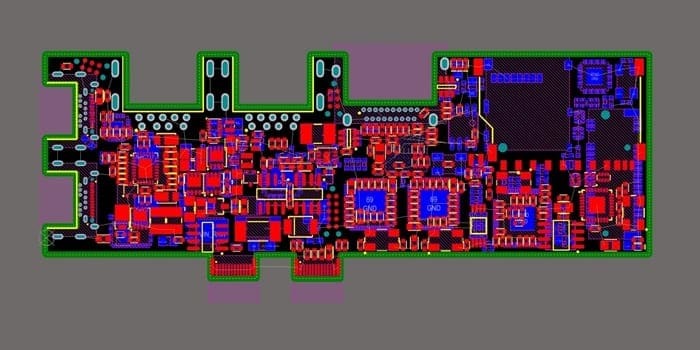 Fine-pitch components are extremely close together and the printed circuit board’s design rules are pushing the limits of PCB fabrication tolerances. San Francisco Circuits has developed these capabilities in response to increased demand for fine-pitch PCB assemblies at high volume production and prototype levels. The ISO 9001-2008 certified company meets or exceeds military spec applications such as MIL-PRF-55110, MIL-PRF- 50884, and MIL-PRF- 31032 for both fabrication and assembly. PCB assembly services are provided on a turnkey or partial turn-key basis, both at quick turn prototype and production level. Average lead times for procurement and assembly are 1-5 days for just PCB assembly and 10-16 days for turnkey PCB assembly. Address San Francisco Circuits, Inc.